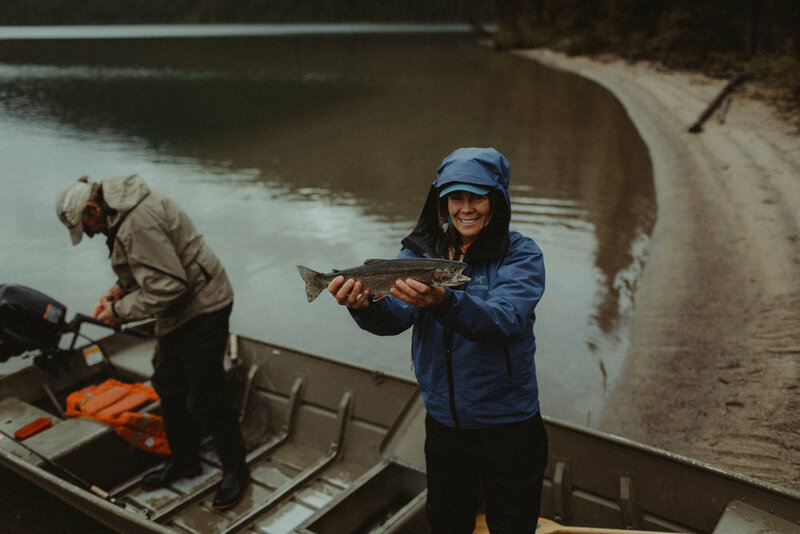 Scoop Lake Outfitters offers superb fishing with 6 species to choose from including: Rainbow Trout, Lake Trout, Arctic Grayling, Bull Trout, Whitefish, and Northern Pike. 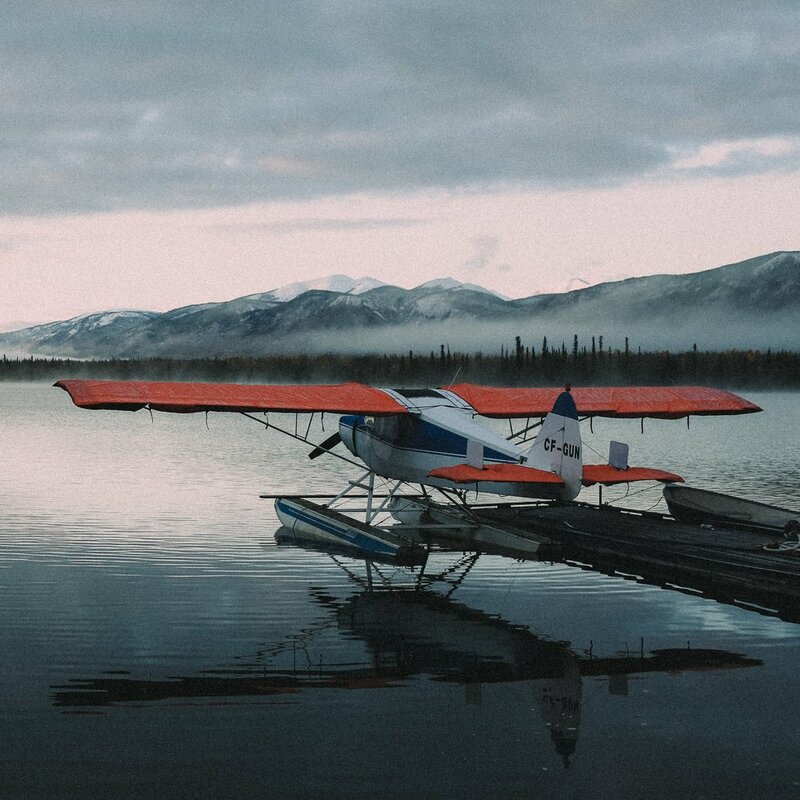 Dozens of lakes within 30 minutes flight time with different fishing opportunities. A short flight from Scoop Lake finds you rainbow fishing on Denetiah Lake. Teaming with aggressive rainbow ranging in size from 12-24". This multi lake system with great fly fishing streams interlocking the lakes provide world class fishing you will not experience anywhere else. If is not uncommon to catch a 100 trout after dinner or before lunch while fishing off the sandy beach right in front of where the new lodge is being built. Yes in 2018 we completed all the ground work, pouring foundation, septic, milled all the wood from local dry standing timber. During the summer of 2019 we will finish the lodge and be open in 2020 to share this magical place with guests from far and wide. If you want to hook family, friends or children on fishing and the outdoors or get them off their electronic devises this is the place, fish in abundance is guaranteed. Denetiah will be kept exclusive with limited weekly trips. Inquire now to get a reservation. There are many lakes within a short flying distance of Scoop Lake that are full of native lake trout. 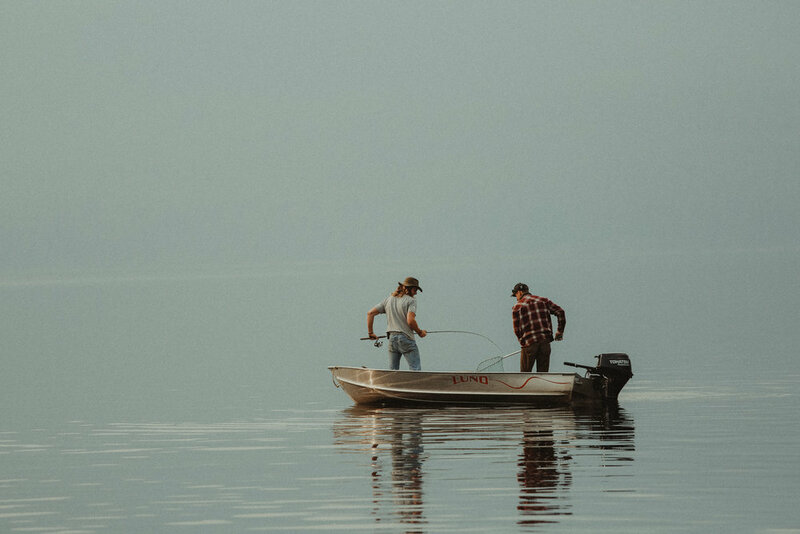 The lakes are so clear and the trout so plentiful, that it’s common to drift by a shoreline and watch the lake trout as they cruise looking for a free meal. Most of the lake trout average 3-7 lbs. It’s common for anglers to land 30 to 50 lakers each in a day’s fishing. Anglers regularly land lake trout between 10-20 lbs. but, because these lakes contain so many fish, the smaller ones are hard to keep off the hook! Anglers can troll the shorelines, cast from shore or from a boat, or they can “sight-cast” flies to cruising lake trout, or fly-cast to the breaks where lake trout cruise all day long looking for food. The main lodge is situated on Scoop lake which is full of Northern Pike and Whitefish. Here guests can take fully equipped boats and explore the entire lake in one day. The fishing is so good that it’s common to walk the shorelines or wade and catch lots of fish. In the spring and early summer, Northern Pike in Scoop Lake will be concentrated in the southern bay and the most northerly shoreline. The water is so clear at Scoop that it’s common to “sight-cast” to Pike early in the season when they venture onto the shallow sandbars in search of Whitefish. Arctic Grayling are one of the plentiful fish found in the drainage basin at Scoop Lake Outfitters. Whether it’s in the rivers, streams, or lakes, Arctic Grayling are commonly caught where the streams flow into the lakes, as well as along the lake shorelines. In the streams and rivers, Arctic Grayling are virtually everywhere, often sharing the same waters with Lake Trout and Bull Trout. Arctic Grayling can be caught on light spinning gear, or by fly-fishing. The Arctic Grayling here average 12-16 inches, and are so plentiful that, once located, they can be caught all day long. Many fishermen land between 30-50 grayling a day. Bull trout prefer clean flowing water something Scoop Lake Outfitters has in abundance. Bull trout can be up to 15lbs depending on which lake or stream you are fishing. Bull trout can be caught on spinning gear or on the fly. Scoop Lake Outfitters is 2.5 million acres of the most beautiful and diverse land in North America at your fingertips. Access to any of our five main camps or sixteen satellite camps can be made by way of company airplane, or one of our available 60 horses.